​Former England captain Wayne Rooney pleaded guilty to drunk driving on Monday, leading to a court imposing a two-year driving ban and ordering him to perform 100 hours of unpaid community work. Former England captain Wayne Rooney pleaded guilty to drunk driving on Monday, leading to a court imposing a two-year driving ban and ordering him to perform 100 hours of unpaid community work. The Everton striker was stopped by police outside Manchester on Sept. 1 while driving someone else's car. 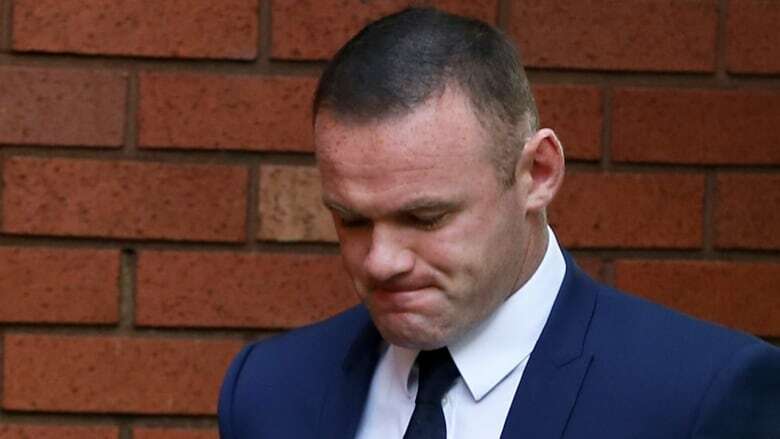 Rooney was three times above the legal limit for driving with alcohol in the body, the hearing at Stockport Magistrates' Court was informed as the 31-year-old player entered his guilty plea. "Following today's court hearing I want publicly to apologize for my unforgivable lack of judgment in driving while over the legal limit. It was completely wrong," Rooney said in a statement. "I have already said sorry to my family, my manager and chairman and everyone at Everton FC. Now I want to apologize to all the fans and everyone else who has followed and supported me throughout my career." A breathalyzer test showed Rooney's alcohol level was 104 micrograms in 100 millilitres of breath. The driving limit in England and Wales is 35 micrograms per 100 millilitres of breath. Rooney's legal team asked District Judge John Temperley to consider not imposing a community work order because of his ongoing charitable work. However Temperley said he was "not convinced" that imposing a large fine "would have the same effect". Rooney was also told to pay $115 US of prosecution costs and a victim surcharge for the same amount. "Of course I accept the sentence of the court," Rooney said, "and hope that I can make some amends through my community service." Rooney is the all-time leading scorer for England's national soccer team and for Manchester United. He retired from the national team last month and left United in July after 13 years to rejoin Everton. He won one Champions League and five Premier League titles while at United.